Shop Tokova devotes its efforts towards giving customers easy online easy online access to select high-end retail brands across the globe while providing them at competitive price points. We believe consumers should have choices and not be limited to the products available in local markets. Shop Tokova focuses on delivering a unique mixture of the brands you know and trust as well as specialty items that may be otherwise inaccessible. 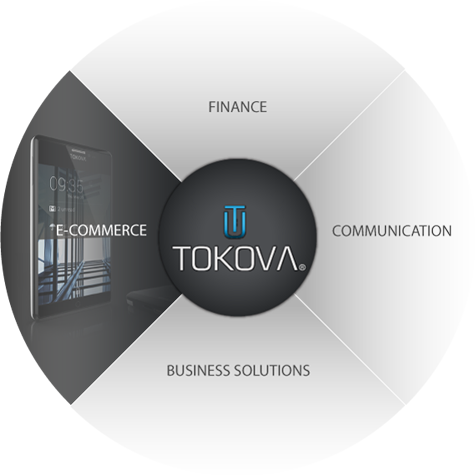 Tokova Shark - represents an exclusive and innovative line of smart technology that incorporates Tokova's advanced talk and money exchange features on Smartphone and tablets. Users can shop, talk and send money worldwide for free directly from their unlocked multi carrier global handled devices without any add-ons. Tokova Shark products are not mass-produce and are designed, manufactured and offered to premium customers only. � Tokova Corporate. All Rights Reserved.